The iSCAPE sensor platform builds on the legacy of previous Smart Citizen generations to develop a new set of tools especially aimed at providing meaningful environmental data insights on a low budget. That means this report documents new components, developed specifically for the project, but frames them inside the Smart Citizen ecosystem. 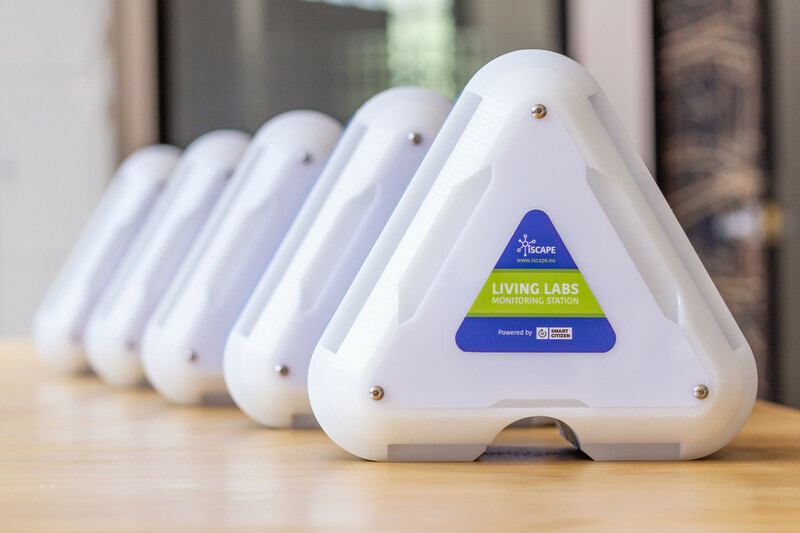 Engage local communities at the Living Labs to deploy and learn about sensors as a novel way to learn about their environment, in particular cities air pollution issues. Provide a sensor infrastructure to enable the different sites to monitor the performance of their interventions. 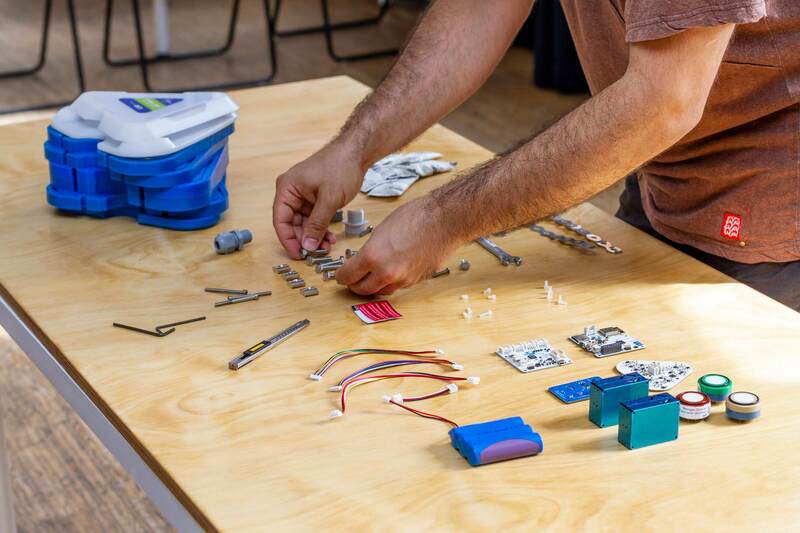 Modularity: The sensor hardware operates as a platform where new sensor modules can be shipped and deployed by the Living Labs themselves when they are finished enabling faster iterations and upgrades even after the project finishes. Open design and documentation: All the components developed are released on open source license to foster the collaboration between different the stakeholders. That especially aims at involving the Living Labs on the design of new sensing strategies and technologies. Easy to use: The technology needs to be accessible to ensure users engagement, especially for those sensors targeting at citizens, but also to ensure the technology development is ready to be exploded commercially after the project. The following approach led the project to development of two sensor solutions: The Citizen Kit and the Living Lab Stations. The following website contains the full documentation of the software and hardware sensor platform developed for the project. It is aimed at any project stakeholder to learn how to use the different components and also to contribute on its future development. Main: Contains the Citizen Kit and Living Lab Stations documentation to help participants to use them. Sensor Analysis Framework: Contains all the documentation on the data post processing framework to obtain insights from the data calibrated by the sensors. Sensor Platform: Contains all the documentation on the sensors web platform were data is collected, stored and vizualized. The documentation contains multiple guides as step-by-step tutorials to perform important tasks as installing a sensor type or uploadig the software on the sensors. The iSCAPE project has received funding from the European Community’s H2020 Programme under Grant Agreement No. 689954.